"But...this mean I was going to achieve one of my life goals: See Rai in person." The power of a legend is that it affords people all manner of emotion. For some, that emotion is hope, while for others, things like fear come up. 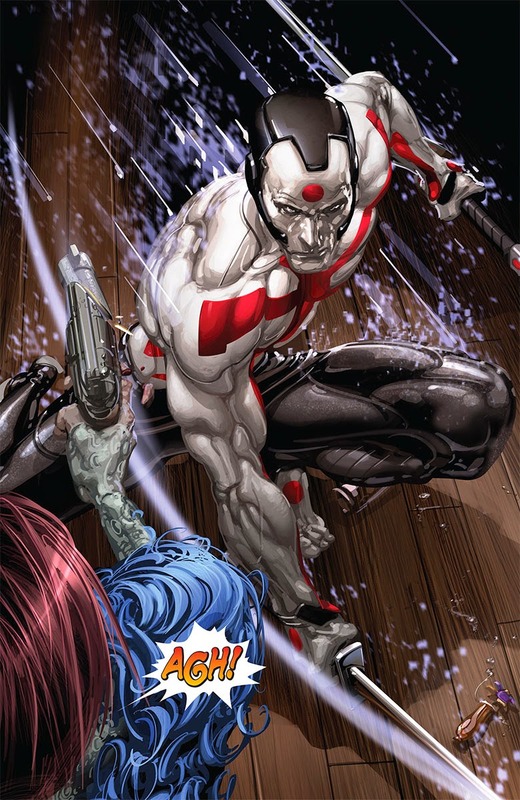 Few legends offer a mixture of both based on their skillset and Valiant Comics has one of those in Rai #1. 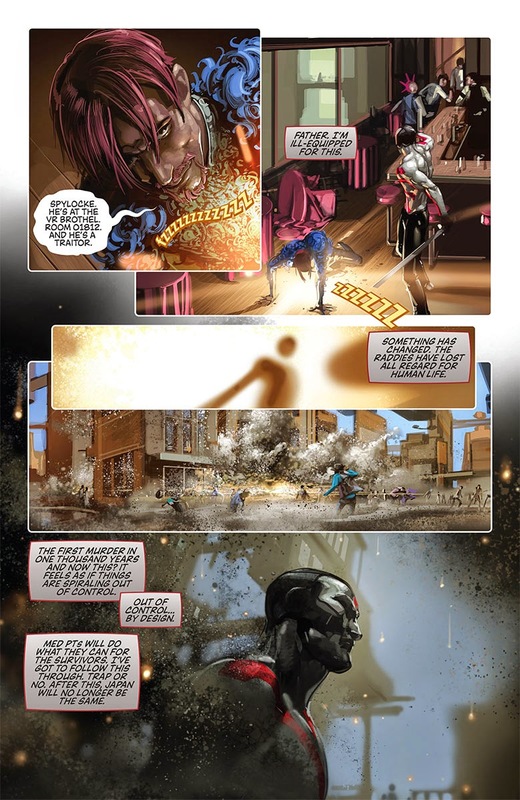 The issue is written by Matt Kindt, illustrated by Clayton Crain and lettered by Dave Lanpherr. Rai as a folk hero is very intriguing. He's referred to as such, yet his name is also spoken with reverence by everyone who mentions it. His appearance is typically a last resort and Kindt really makes it special, both for the reader and the citizens of Japan. 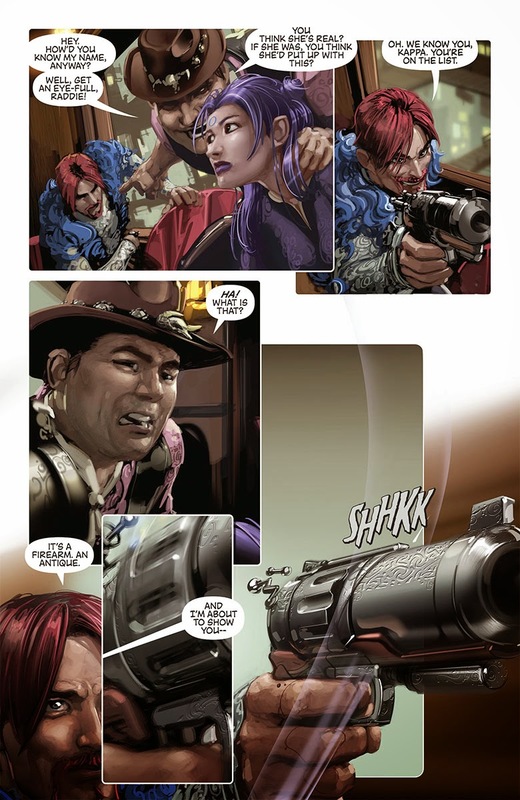 Rai is something of a quite intimidator, relying on the legend of his name to investigate the sudden rash of murders. 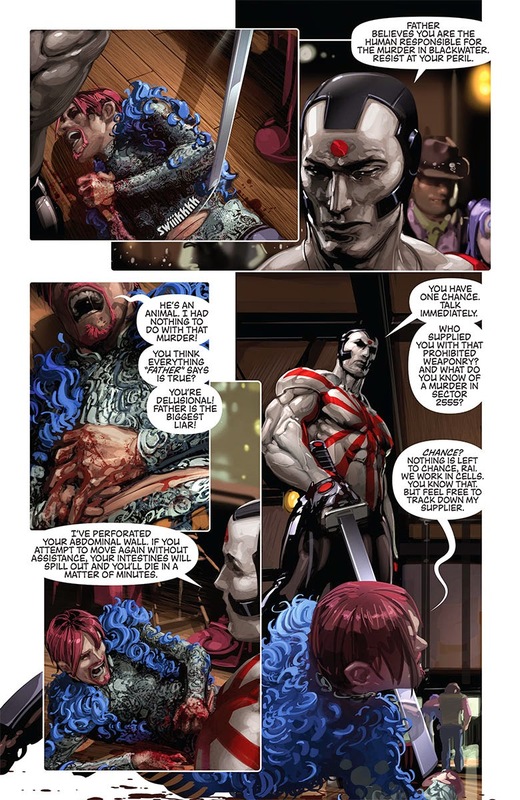 He's also more than capable of handling himself in combat, which Kindt works to provide plenty of in the issue. There are broader questions of existence, with some wondering whether the Father is really worth all the idolizing. Rai himself is forced to ponder this from time to time, which should make future issues pretty interesting. Crain's illustrations are very elegant and extremely poignant for the subject matter. 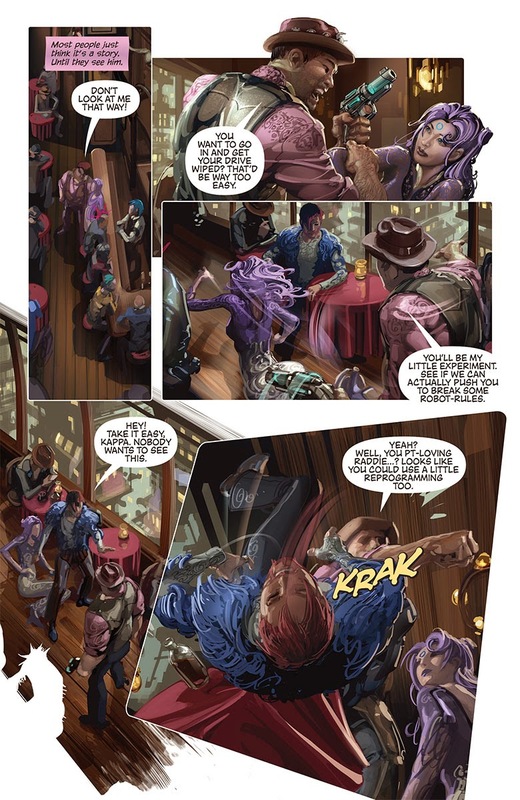 Rai is presented as a massive man who towers over those who stand in his way and Crain does a great job handling all the action that the issue is full of. All the characters are drawn with strong lines that have them cut the settings behind them and they stand out really well. 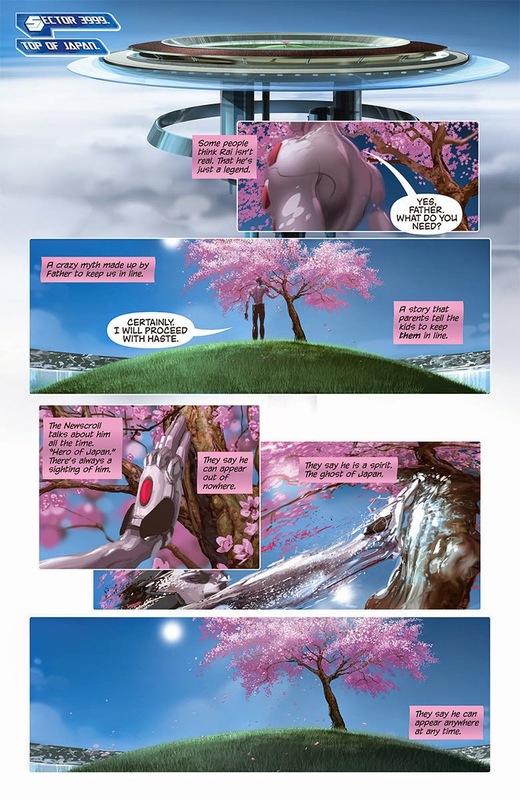 Crain's depiction of Japan is very tech thinking and looks like a place that's put murder behind them. It's a very dense city, with a lot of nooks and crannies for things to slip through the cracks, something that furthers the notion of the city needing someone like Rai. There's also a wide array of panel layouts throughout that feel almost as disjointed as the city itself, which helps the reader further immerse themselves in the action. 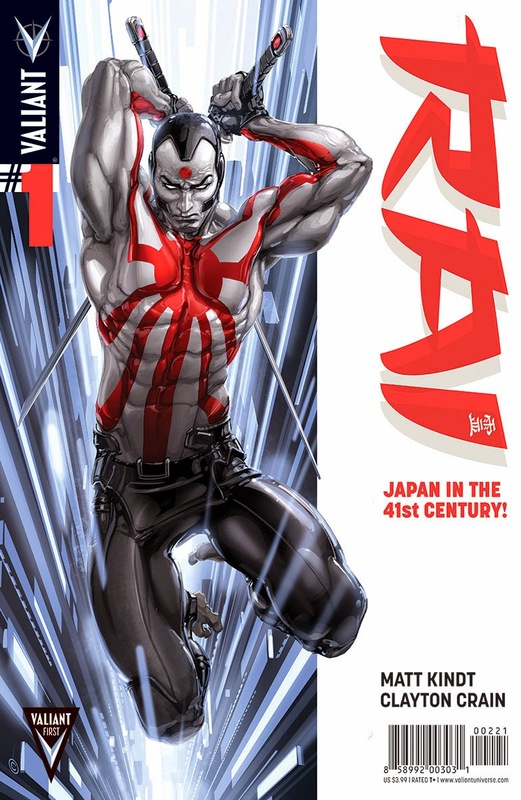 Rai #1 is just another book in the Valiant line-up that is pretty awesome. Rai is characterized as a pretty powerful protector who only appears when necessary and when murders start piling up, he's deemed as such. Kindt does a great job building the world that Rai inhabits, offering a lot of interesting mythos surrounding Rai the legend and the action moves pretty well. Crain's illustrations are very clean and well-defined, offering great looks at Rai in both relaxed and agitated states. Rai #1 is a book that feels like a lot of the cyberpunk anime series you're probably familiar with and it does a great job building a very fascinating universe. Rai #1 is in stores April 30 with interiors below.